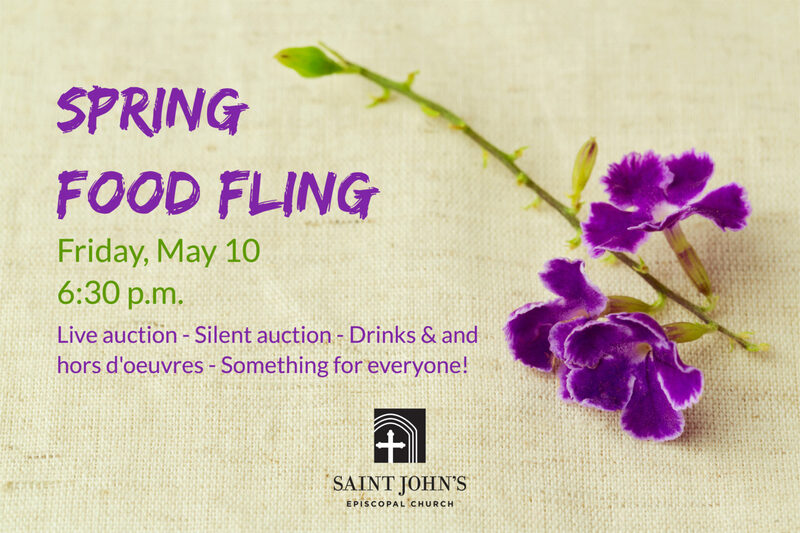 All are welcome to the Spring Food Fling at St. John’s — an evening of good food, music and conversation as we raise money to support the church’s many ministries in our parish and community. Appetizers and beverages will be provided, and silent and live auctions will feature food-oriented treats and experiences, from homemade baked goods to themed dinner parties. Everyone is invited and there is no need to register ahead of time — please come and bring a friend!